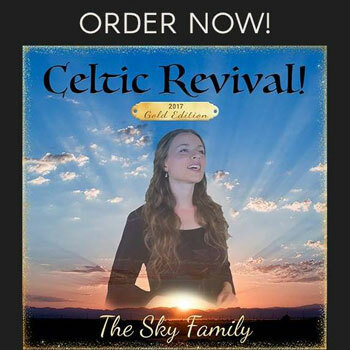 SKY Family has perfected the integration of traditional Celtic music with Pop/Rock. Their album “Celtic Revival” is the kind of recording that you can use the Repeat function on your media player and not get burnt out. While the notion of a Celtic pop/rock band is not exactly original, it definitely is unique in today’s stereotyped panorama. They achieve the rare feat of fitting comfortably into the mainstream without sounding anything like the rest of the artists and bands that dominate the airwaves of commercial pop/rock radio. Their sonic template marries strong Celtic influences, the singer’s achingly beautiful and distinct vocals which successfully blend innocence with sensuality and spirituality, and a commercial sensitivity that will made a bulk of this album’s songs incredibly accessible to the masses. Tom, Seth, Joel, Gabe, Miriam and Daniel, better known as SKY Family are actually more than a band; they are also messengers of God. So expect worship lyrics and strong spiritual themes. 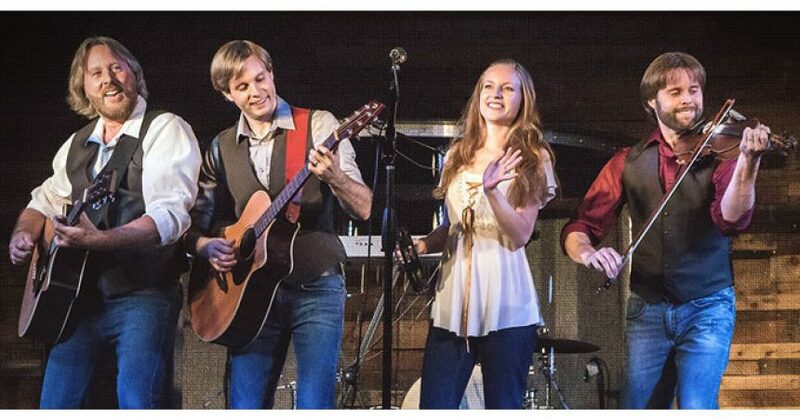 If you’re a Christian, then you’ll be in your element with this band’s music. But if you’re not, that’s not a problem either; the only important thing is that you’re able to appreciate great music – in the form of fantastic lead vocals, sumptuous an intricate harmonies, lush organic instrumentation and wonderful melodies by the bucket load. SKY Family are a band whose attributes include a unique interpersonal chemistry, an unbridled pride in their faith and musical heritage that is showcased by the conscious choice of instruments featured on their songs, a commitment to their artistry and musical competence, the blinding gorgeousness factor of the voices supplied by Tom and Miriam, and their undeniable restraint towards the temptation of becoming mainstream fodder. The percussion, guitar, keyboards and fiddle combination is heartwarming on this release, where their charm is rooted in the seeming simplicity of their music, with graceful rhythms and beautiful melodies, which combine to create a soothing tandem of lullaby harmonics and classical, ethereal tones injected with pop-rock sensibilities. All throughout the 14 track album SKY Family never lose their vision; a sound truly rooted in the tones of their spirituality, leaking melodies and overflowing with positive energy. Opening with a striking instrumental intro on “Psalm 150” – the tone is immediately set as one of uplifting, easy vibrancy. The fiddle is the most notable instrument, and a signature sound of the band’s endearing formula, both in tone and methodology. The track serves as a perfect introductory piece, the wistful strains of folkloric whimsy married with the more modern intonations of the electric guitar, piano and percussive instruments. The harmonies on the chorus on this particular track are heartfelt and produced with a clarity that is both rousing and subdued. This magical and endearing formula is repeated in various does throughout the recording, to make almost every track a standout. Undeniably beautiful in melody and with a superb vocal performance, the overall content and feel of “In His Hand” is filled with wallowing emotionality that feels almost like an assault on your heartstrings. Contrast this with the previous track “Nothing Separates”, which is a staggeringly good example of powerful rhythm and melody in almost perfect balance, and “Who Is Like Him” which feels truly as though it is generously compensating with its whimsical yearning. Despite the album being very easy on the ears, there are certainly occasions when the band do switch the formula somewhat and develop their sound into one of much louder energy. But this is never at the expense of melody or listenability. For example the instrumental “Life On A Hedge” especially allows for a different side of SKY Family’s style to let itself be known. The band’s vision is transmitted through every track of this album, and the intended meaning finds its way to the listener flawlessly. An entertaining, enlightening, and altogether lovable release, its singularities and qualities nothing more or less than a testament to the faith and endeavor involved in crafting it. 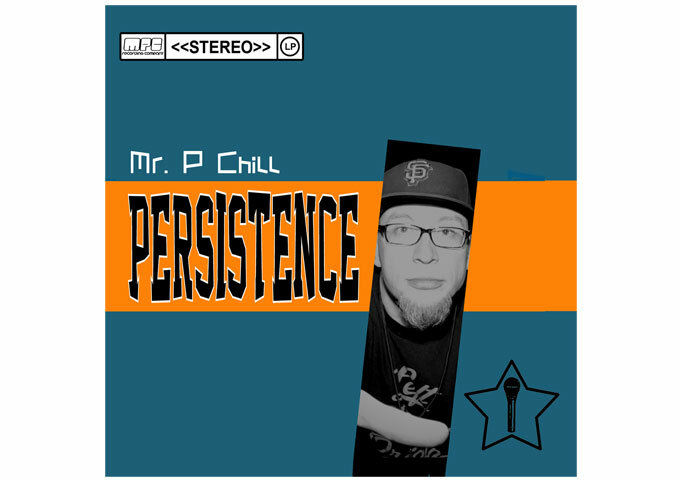 Mr. P Chill: ‘Persistence’ -Old School Flavor That’s Not Afraid To Evolve!